Another chronology following the crossover connections to a play. This is the first one unrelated to Shakespeare. FIRST MARQUIS: Who is this Cyrano? CUIGY: A fellow well skilled in all tricks of fence. SECOND MARQUIS: Is he of noble birth? CUIGY: Ay, noble enough. He is a cadet in the Guards. But 'tis his friend Le Bret, yonder, who can best tell you. Le Bret! Seek you for De Bergerac? LE BRET: Ay, I am uneasy. . .
CUIGY: Is it not true that he is the strangest of men? LE BRET: True, that he is the choicest of earthly beings! LIGNIERE: And of how fantastic a presence! RAGENEAU: Marry, 'twould puzzle even our grim painter Philippe de Champaigne to portray him! Methinks, whimsical, wild, comical as he is, only Jacques Callot, now dead and gone, had succeeded better, and had made of him the maddest fighter of all his visored crew--with his triple-plumed beaver and six-pointed doublet--the sword-point sticking up 'neath his mantle like an insolent cocktail! He's prouder than all the fierce Artabans of whom Gascony has ever been and will ever be the prolific Alma Mater! Above his Toby ruff he carries a nose!--ah, good my lords, what a nose is his! When one sees it one is fain to cry aloud, 'Nay! 'tis too much! He plays a joke on us!' Then one laughs, says 'He will anon take it off.' But no! Monsieur de Bergerac always keeps it on. LE BRET: He keeps it on--and cleaves in two any man who dares remark on it! 1619--Birth of Cyrano de Bergerac. 1640--CYRANO DE BERGERAC--The classic story of the funny looking man who is both intelligent and a great fighter, who loves a woman named Roxanne that he fears sharing his feelings with. The play was adapted many times, most notably in the Philco-Goodyear Television Playhouse, a 1950 film also called Cyrano de Bergerac, Producer's Showcase and ABC Afterschool Special with Jose Ferrer. The latter is an animated version by Hanna-Barbera. Jose also played himself playing Cyrano in the George Burns and Gracie Allen Show. 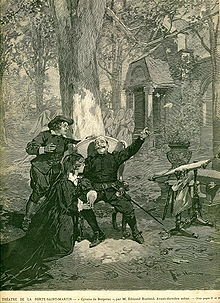 17th Century--SCHLITZ PLAYHOUSE (OF STARS)--"The Sword"--This story features Cyrano, but I know little else about it. 17th Century--THE FOUR MUSKETEERS--Four con men take the place of the real musketeers and manage to steal the Queen's necklace but then give it back to her, moved by her tears. Cyrano de Bergerac is in this story. If anyone thinks I have the chronology of these Musketeer/Cyrano crossovers out of order or if they think any of these stories conflict with the others too much to be in the same timeline, please let me know. 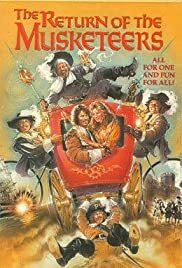 1649--THE RETURN OF THE MUSKETEERS--Mazarin hires the impoverished D'Artagnan to find the other musketeers: Cromwell has overthrown the English king, so Mazarin fears revolt, particularly from the popular Beaufort. Porthos, bored with riches and wanting a title, signs on, but Aramis, an abbé, and Athos, a brawler raising an intellectual son, assist Beaufort in secret. When they fail to halt Beaufort's escape from prison, the musketeers are expendable, and Mazarin sends them to London to rescue Charles I. They are also pursued by Justine, the avenging daughter of Milady de Winter, their enemy 20 years ago. They must escape England, avoid Justine, serve the Queen, and secure Beauford's political reforms. 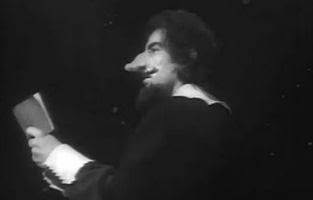 Cyrano de Bergerac appears in the story. 17th Century--CYRANO ET D'ARTAGNAN--Duelist and poet Cyrano de Bergerac and musketeer d'Artagnan meet and team up to stop the conspiracy against King Louis XIII of France. Jose Ferrer plays Cyrano de Bergerac. 17TH CENTURY--D'ARTAGNAN CONTRE CYRANO DE BERGERAC--This story is alluded to in Felifax, L'Homme Tigre. This may be the same events that inspired the story "Cyrano and the Two Plumes". My research findings were unclear on this. If anyone can help clear this up, please let me know. Fall 1655--TALES OF THE SHADOWMEN VOLUME 4: LORDS OF TERROR--"Cyrano and the Two Plumes"--Cyrano is in conflict with d'Artagnan from THREE MUSKETEERS. The man who makes this meeting happen is Alcandre from LA BAGUE DE L'OUBLI. 18th Century--THE FABULOUS BARON MUNCHAUSEN--the "real" Cyrano appearing as an interstellar traveller. The film begins with footsteps leading to a pond. The camera continually moves upwards to show the flight of butterflies, birds, and a progression of historical aircraft ending with a rocket ship travelling through space and landing on the moon. The astronaut/cosmonaut leaves his spacecraft and sights other footsteps on the moon leading him to an old phonograph, then a crashed rocket with a plaque reading Jules Verne's From the Earth to the Moon. Taken to a dinner table, the surprised space traveller meets the characters from Verne's book and Baron Munchausen. Inviting him to their table, the characters believe that the cosmonaut is a man actually from the moon, and kindly treat him as a small child. Note that clearly the TVCU counterpart of Cyrano lived much longer than his real world counterpart. I may consider that perhaps Cyrano became such a legend that he transformed from a real physical being into a Tulpa version of himself, eventually becoming the fictional being residing in the Land of Fiction. Fall 1927 to 1928--FELIFAX, L'HOMME TIGRE--Sir Eric Palmer takes on a mad scientist's tiger-man hybrid. Crossovers include: FELIFAX, SIR ERIC PALMER, SHERLOCK HOLMES, THREE MUSKETEERS, CYRANO DE BERGERAC, LA TOUR DE NESLE. 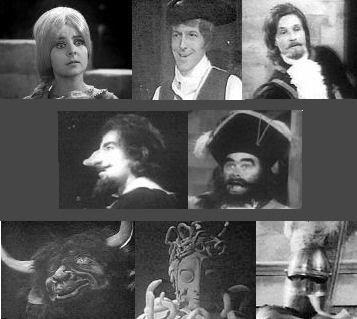 1968--DOCTOR WHO--"The Mind Robbers"-- The Doctor travels to the Land of Fiction where he encounters fictionalized versions of Cyrano de Bergerac, and other fictional characters from GULLIVER'S TRAVELS, GREEK MYTHOLOGY, ARTHURIAN LEGEND, FAIRY TALES, THE THREE MUSKETEERS, and BLACKBEARD. (Note that those are all real in the TVCU, but double note that Cyrano, d'Artagnan, and Blackbeard were really real people in our real world as well.) 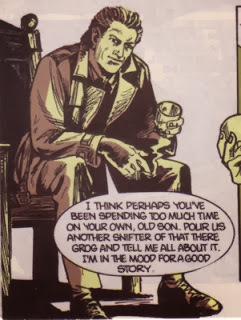 I believe the place the Doctor visits is the same place referenced in Hellblazer later in this chronology. Late 1970s--RCA PROMOS--Cyrano de Bergerac (played by Jose Ferrer) and Annie (with Sandy) promote color televisions. Clearly this is the Tulpa who resides in the Land of Fiction. Note that Jose Ferrer had played Cyrano a few times and is one of the more memorable actors to play him. October 1981--FANTASY ISLAND--"Cyrano"--Philadelphian Marjorie Denton seeks the most chivalrous romantic man of all time and meets Cyrano de Bergerac. I'm unsure is Cyrano is a ghost, pulled from the past, or is his fictional counterpart from the Land of Fiction. Perhaps Fantasy Island expert Gordon Long can let me know. September 2014--Era of the 12th Doctor and Clara--DOCTOR WHO--"Robot of Sherwood"--This story actually takes place in the 12th century and references an encounter from the 17th century. In this story, the Doctor explains that he learned to be excellent with a sword from having met Richard the Lionheart and Cyrano de Bergerac. Since this story is about the Doctor's claims that Robin Hood isn't real, he's probably referring to untold stories of encounters with the real persons (and they were historical figures) rather than their Land of Fiction counterparts. EARTH-X, THE NAZIVERSE--I place here the events of Kim Newman's "Une Etrange Aventure de Richard Blaine" from Unforgivable Stories. Note the Newman tends to place all his stories in the same multiverse, which my Horror Crossover Encyclopedia found to be the Horror Multiverse, which for our purposes here is also the Television Crossover Multiverse. In this story, Rick Blaine is stopped from leaving Paris altering the events of CASABLANCA. He is betrayed by a Nazi version of TINTIN. The Nazis want to capture Paris in order to gain the essences of THE PHANTOM OF THE OPERA, THE THREE MUSKETEERS, ARSENE LUPIN, CYRANO DE BERGERAC, and THE COUNT OF MONTE CRISTO. Note that I left out all the numerous times that the Cyrano scenario is reenacted. This is a popular trope when one person hides and tells the other what to say to the girl he loves. This scenario is played out over and over in the TVCU, so clearly Cyrano is both a real person and a play in the TVCU, just like in the real world. I also chose not to include all the countless retellings of the story, but I will point out my favorite is the updated version of the story, Roxanne, with my favorite comedian, Steve Martin. I am happy to see this. This is a great run through appearances of Cyrano and gives me a couple to track down. 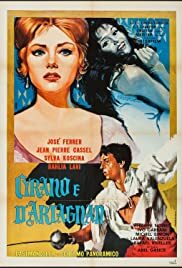 Any chance at all that you've got the French films _Cyrano et D'artagnan_ or _Four Musketeers_ (both of which I'd love to track down)? 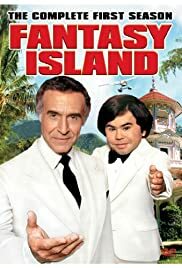 For that matter, I need to get a copy of the _Fantasy Island_ episode. Besides the various recreations of the plays over the years and the animated Cyrano Hanna-Barbera made with Jose Ferrer voicing the character, there are a few you could add. The 1961 Czech film _The Fabulous Baron Munchausen_ (dir. Karel Zeman) has the "real" Cyrano appearing as an interstellar traveller (and also has links to Jules Verne's "A Trip to the Moon." 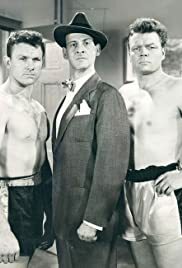 There's also an episode of _Schlitz Playhouse of Stars_ called "The Sword" (aired 1957) featuring Cyrano (and I would love to see this if anyone can produce a copy). Also, in the Doctor Who story "Robot of Sherwood," the Doctor explains he is a good swordsman because of having met the likes of Richard the Lionheart and Cyrano de Bergerac, and since this episode had the Doctor emphasizing fact over legend, presumably this is an un-aired meeting with the true Cyrano and not a memory from the Land of Fiction. I could ramble much longer about the adaptations, but I'll keep that to myself and just thank you again for this posting! I do not have those films. I get my information from a combination of first hand (from watching and reading stuff myself), from the TVCU Crew that provide me with information, and from particular website and books that have proven to be reliable. As for the additional information you provided. I will add that to the timeline. Thank you very much. I can consider ever post a "running draft" as I try to update them whenever I get new information. I'll make then a general request that if anyone does have those, please let me know. I am working on some things with Cyrano myself.